Home Ink Cartridge News Friday the 13th! If you do have a superstitious leaning, you have probably just looked at your calendar, clocked its Friday the 13th and thought no more about it. If however you are like everyone else, and are very superstitious I’m sure you will be on high alert employing every trick you know so you don’t incur the universe’s wrath. There are many different ideas about where this spooky date came from; some believe it dates back to the last supper, where 13 people were there the night before Jesus Christ’s crucifixion. (Which also happened to have apparently fell on Friday the 13th) Whilst others suggest that, it was born from the disappearance of a navy ship called HMS Friday, which set sail on Friday the 13th, never to be seen again. 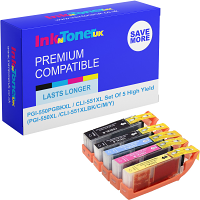 At Ink N Toner UK, we know how people get on this particular day so we want to reassure that no matter how spooky your days get, we will always be here to provide you with the inks you need to get through them! We are pretty sure after you hear that you’ll be feeling lucky in no time!